Simplify your life with a storage unit at Safe Storage. 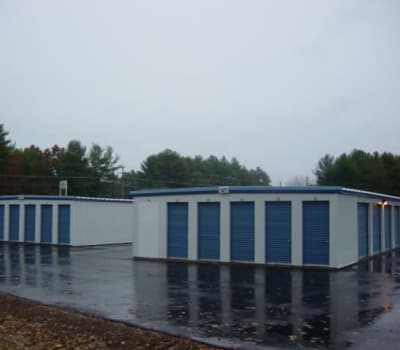 Our modern storage units in Springvale, Maine offer the features you desire at a price that meets your budget. Whether you are planning a move, welcoming a new family member, or just looking to clear out the clutter, Safe Storage has a storage solution for you. Our clean, reliable facility is designed to help you store with ease. At Safe Storage, we go out of our way to provide you with an exceptional self storage experience. Our desirable River Street location is just around the corner from CITGO and mere minutes from Route 202. Superior features like 24/7 access, a video camera recording system, and personalized gated entry simplify the self storage process. Plus, wide driveways and convenient drive-up access make it a breeze to load and unload your furniture and boxes. Need a lock for your unit or packaging material? You’ll find these and more in our onsite shop. Not sure which unit will best meet your needs? Contact our storage professionals today and let us help you select the right storage unit. We look forward to assisting you at Safe Storage.